This innovative portable computer was one of the first to have a LCD display which was back-lighted! 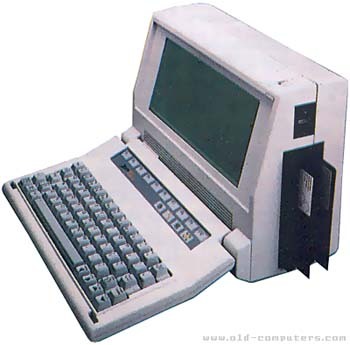 It also was one of the very earliest battery powered portable IBM compatible computers. This lunchbox system was in fact made by Vadem and OEM'd by Zenith (Z170/Z171), Morrow (the Pivot), Osborne (Encore), and maybe others. It was an excellent IBM compatible portable system, and was sold in considerable quantities to the US government and Navy. Amazingly, this machine was Year 2000 compliant. In fact, the internal clock goes up to 2015. Read the Osborne Encore for more info. see more Zenith Data Systems Z-171 PC Ebay auctions !